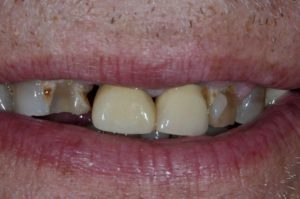 What Can Cosmetic Dentistry Do For You? | Robert S. Minch, D.D.S., P.A. 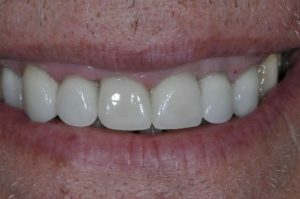 Just finished a very satisfying case- Jack is a 57 year old veteran who decided to finally do something about the look and health of his teeth. After a complete exam and consultation, together we created a treatment plan that addressed his gum health as well as designing a new smile. Jack was very clear that he didn’t want “Hollywood teeth” and that he wanted a clean, bright look with which he could smile proudly. When we put the all porcelain crowns in yesterday, he couldn’t stop smiling. He was so excited and his enthusiasm was so infectious that our entire team felt elated and proud to be able to make this kind of change in someone’s life. So, what can Cosmetic Dentistry do for you? ?